Judged, before he has a chance to speak. Passed over for promotions, even though he is more than qualified. Many times he is turned away from a better opportunity because of who he was born to be. Judged just by the color of his skin, the black man has been facing adversity for more than a century. In Ebony Chronicles of elevation the reader will experience in-depth tales of the black man's journey and fight for something greater. From the minds of black men who has loved, lost, fought, and educated themselves comes a powerful piece that allows their stories to be told from their voice. Brought to you by NCM Publishing and New York Times best selling author Omar Tyree comes a timeless novel that will embrace your heart, educate your mind, and elevated your spirit. featuring stories by Moses Miller, Q. B. Wells, Corey J. Barnes, and a host of others; Ebony Chronicles of Elevation will entice the readers of stories of the Ebony Man elevating out of any situation no matter how great. 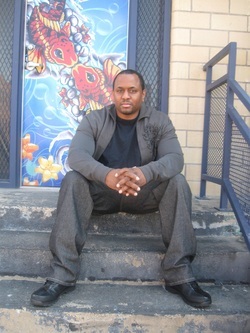 Chris Hicks is an established author who runs his own publishing company in Baltimore, Maryland, Universal Publishing Co LLC. He is the founder of the BUBF (BALTIMORE URBAN BOOK FESTIVAL). He has written his first book, THINK volume 1 which will be released this fall 2011. His book was written with young adult men in mind, with step by step advice on how to build stronger, positive and healthier family relationships. Chris continues to be involved in nonprofit efforts and has served as well as donated to various charity organizations such as the House of Ruth and Play Kidz Learning Center. He is an active role model in the community, as well as a volunteer for Big Sister, Big Brother of Central Maryland. Chris, who describes himself as a classic overachiever, has garnered an impressive list of community involvement activities such as being a member of The Urban League Young Professionals who targets education and the youth in our communities. 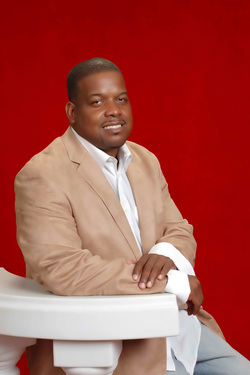 Moses Miller is a journalist, a motivational speaker and an award winning author for Mind Candy, LLC, which is a company focused on book publishing, the development of screenplays and educational programming for our youth. A native New Yorker, Moses exhibits the uncanny ability to capture the pulse of the streets with intelligent and well thought out story lines. In the past, he has contributed articles and written for various websites and publications including The Voice, News Day and 88HIPHOP.COM where he is currently the Editor in Chief of content. He holds a Bachelors degree in Business Management and a Masters of Science degree in Technology Management obtained from Polytechnic University. His first novel, Nan: The Trifling Times of Nathan Jones has received various awards and critical acclaim from readers and book clubs around the world. After the successful release of his first novel, Mr. Miller cemented a deal with F.E.D.S. magazine resulting in a joint venture to publish his second release, Once Upon A Time in Harlem in September of 2007. The highly anticipated second installment in the Nan series, The Game of Trife, was released through Mind Candy, LLC in August of 2008. Mr. Miller is a socially conscious individual who strives to play a key role in helping to improve the literacy rates amongst African American and Hispanic teens. Through his American Me “Voices of Our Youth” program, he has worked with several other organizations in an effort to decrease the high school dropout rates plaguing lower income communities. Mr. Miller’s inspirational book The Barack in Me, was written specifically for young African American males, with themes that cross the boundaries of gender and race. Mr. Miller is currently the facilitator for two youth mentoring programs focused on developing upstanding men and community leaders. His latest release, Nan: The Trifecta is the highly anticipated finale to his Nan series. 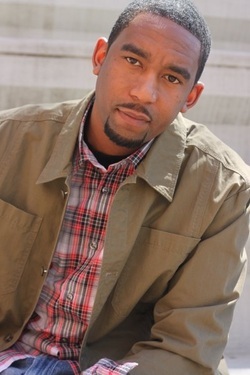 Omar Tyree, is a New York Times best-selling author, a journalist, reporter, poet, screenwriter, songwriter, playwrite, event host, lecturer, blogger, publishing consultant and literacy advocate, who has won a 2001 NAACP Image Award for Outstanding Literature in Fiction, a 2006 Phillis Wheatley Literary Award for Body of Work in Urban Fiction, and a 2010 HBCU Legends Award for his tiresome work in urban literacy. opinion column in “The Hilltop” newspaper, along with publishing several Washington, DC-based news articles for the Black Press. Upon graduation from Howard, Tyree established his own publishing company, MARS Productions, in early 1992, at the tender age of 23. He then self-published and marketed his first three novels, including “Capital City”, which chronicled Washington, DC’s violent drug culture, and went on to sell 25,000 copies of his first three titles with distribution sources from Newport News, Virginia, to Queens, New York. By the Spring of 1995, Tyree’s activity had attracted the attention of several major publishing houses, including Simon & Schuster, where he signed his first two-book publishing deal for a six-figure advance payment at age 26. And as they say, the rest is his-story. Tyree went on to publish 16 novels, two short story books, and one non-fiction book on “The Equation” of entrepreneurship and business. To date, he has sold more than 2 million copies of his books worldwide, and has created a brand name in the publishing industry that has generated more than $30 million. Tyree has also been published in five anthology books, several major newspapers, including; The Washington Post, The Philadelphia Inquirer, and The News Journal; several national magazines, including, Ebony, Essence, Upscale, The Black Collegian, and The Washington View, and featured on the national blog web site TheDailyVoice.com. Along with his many literary awards from various national organizations, Tyree has founded and formed his own nonprofit arm of the Urban Literacy Project (ULP), where he highlights “The 5 Key Components of Literacy” (Reading, Writing, Thinking, Visualization and Application). Penning a short short book, “12 Brown Boys” for young urban readers in September of 2008, Tyree was cited by the City Council of Philadelphia for his tireless community work in urban literacy in the Spring of 2009, where he spoke about the need to continue the fight against illiteracy within the urban American community. Hailed as one of the most passionate and informed speakers on artistic, community, educational, cultural, intellectual, popular and business topics, Tyree has been a featured lecturer at more than 50 major American institutions, colleges and universities, including Harvard and Yale. Norris Pimpton is a native of Los Angeles, CA. Currently he resides in Dallas Texas. His life long dream of becoming an published author has been fulfilled. His debut novel The Project Diaries (2010) and his anticipated novel Hotel 23 (2012), will be released soon. Norris is also working on a stage play called Echoes in the Dark, and will be followed up with more plays and novels. When Norris is not writing he enjoys reading and traveling. Q.B. Wells is the publisher of Art Official Media LLC and an author living in Baltimore City, Maryland. 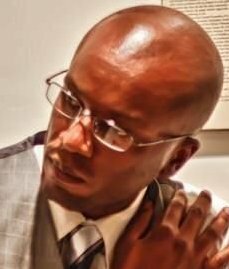 He has written books (Blackface, Doughboy), book reviews, articles and essays about urban literature and culture for The Urban Book Source, Urbania Magazine and www.UrbaniaMag.com. A member of the Independent Book Publishers Association, Q.B. Wells presents workshops on publishing at local community centers and organizations. A visionary and entrepreneur, Q.B. Wells taught with the Baltimore City Public School System for several years before transitioning into teaching writing classes at Towson University. One Hundred Miles and Running (Blackface 2) is his second novel. Eyone Williams was born and raised in Washington, D.C. He is a publisher, author, rapper and actor representing urban life in a way that is uniquely his. Known for hard-core, gritty novels, Eyone made the Don Diva best-seller list with his first novel, Fast Lane (Fast Lane Publications). He followed up his debut novel with Hell Razor Honeys 1 and 2 (Cartel Publications). He then delivered his readers a short story entitled The Cross (DC Bookdiva Publications). He’s also a staff writer for Don Diva Magazine, his most notable work is featured in Don Diva’s issue 30, The Good, The Bad, and The Ugly, where he outlined the rise and fall of D.C. street legends Michael “Fray” Salters and Wayne Perry. 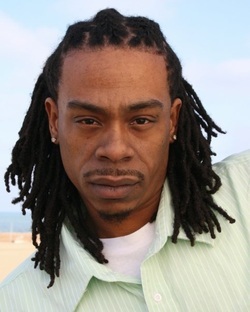 Eyone’s first acting role was in the forthcoming movie Dark City (District Hustle). His latest mixtape, A Killer’z Ambition, is a sound track to the novel, A Killer’z Ambition (DC Bookdiva Publications) by Nathan Welch. His latest novel, Lorton Legends (DC Bookdiva Publications), is one of the most acclaimed books of the present day. For more information about Eyone Williams visit his Facebook page: facebook.com/eyone.williams, also follow him on Twitter @eyonethewriter.